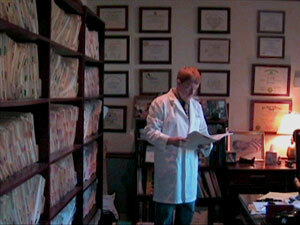 Dr. Adams has been diagnosing and treating injured workers since 1985. Health and safety requirements have substantially reduced the incidence of accidents in the workplace, but injuries that result in minimal lost time are still common. However, serious injuries do occur. Some result in substantial lost time, permanent and partial disability, and chronic pain. Depression following injury, especially lost time injuries, impacts not only the worker but the worker’s family. Some accidents also include emotionally traumatic events and precipitate acute stress disorder or post traumatic stress disorder. Concurrently, the employer has temporarily or permanently lost a valuable employee. Coworkers who once relied upon the now injured worker have lost the expertise of a valuable ally. As the time between injury and recovery extends over weeks, months and sometimes years, the emotional toll rises. Economic problems mount, marital problems increase, and long-held future plans become no longer possible. For many injured workers, there is no back-up or alternate career. They never saw themselves working in a different field, mastering a different skill set, and most often they believe they are too old to return to school or learn a new trade. Importantly, physicians and surgeons, and even pain management practices, may not recognize or explore non-physical problems. Their task is the restoration of physical health, and workers compensation encompasses the concept of “making the person whole” or returning them to their pre-injury state. They may see that the patient as irritable, inattentive, forgetful and gaining weight. They attribute this to medication or pain, not to a patient’s emotional conflicts. 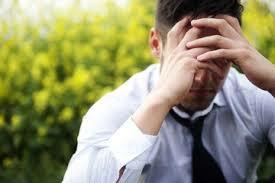 And patients, especially males, are loathe to recognize and admit mounting depression. Psychodiagnostic evaluation of injured workers, especially those in chronic pain with permanent limitations, provides us with a better means of assisting and mobilizing the patient. If you need assistance with the psychological components of work -related injury, contact Dr. Adams at 404-252-6454 or at AtlantaMedicalPsychology@gmail.com.